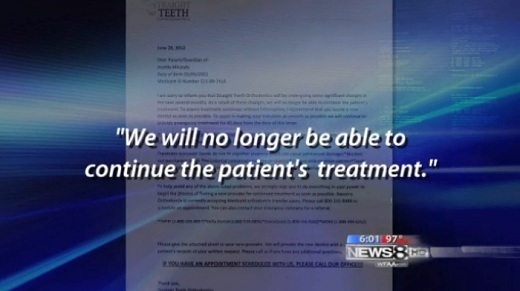 As Texas cracks down on questionable Medicaid dental payments, dentists' offices are going dark all over the state. The Journal of the American Dental Association (JADA) will publish an erratum and explanatory articles in its August issue and is planning to expand its author disclosure requirements for peer-reviewed research in response to issues concerning a laboratory study that appeared in the May issue of the journal. Editor Michael Glick, DMD, announced his plans June 14 in an exclusive interview with Medscape Medical News after an investigation by the journal confirmed irregularities with a study conducted by Charles John Palenik, PhD, the director of scientific affairs and research for the Organization for Safety, Asepsis and Prevention. The $90,000 study was funded by disinfectant manufacturer Biotrol in East Earth City, Missouri. Dr. Palenik measured the long-term effect of 6 spray disinfectants and tap water on 9 common dental surfaces. The 2-year study involved 1.2 million individual tests to simulate a year of routine disinfections on the surfaces. Based on the investigation's findings, Dr. Glick dismissed the possibility of fraud in the handling and reporting of scientific data, but he questioned Dr. Palenik's professional practices. Dr. Palenik conducted the study in 2007 and 2008 as director of infection control research and services at the Indiana University School of Dentistry in Indianapolis. "It has been 15 years since we had an article that rises to this level of concern," Dr. Glick said in the interview. Issues concerning the study came to light during routine news coverage by Medscape Medical News shortly after the article was published. In response, the journal contracted an independent statistician/epidemiologist for a review. He identified 11 methodological problems and 9 concerns about the analytical approach taken by Dr. Palenik, the study's sole author. None of the problems or concerns rose to the level of a fatal flaw that would warrant the study's retraction, Dr. Glick said. According to Dr. Glick, Dr. Palenik confirmed to him what he had earlier disclosed to Medscape Medical News about his contract with Biotrol, the producer of Birex SE Concentrate and Opti-Cide3 , the 2 best-performing disinfectants in the trial. The company approved the study design, selected products for testing, was given access to results before peer review, and had a contractual right to suppress the release of selected data. "If I had known that, I would not have accepted the article," Dr. Glick said. According to Millennium Research Group (MRG), the global authority on medical technology market intelligence, increasing patient awareness and demand and a widening pool of non-specialist dentists (also known as dental general practitioners, or GPs) qualifying to perform dental implant procedures will enable the North American dental implant market to grow strongly at an average annual rate of 10 percent. Patients are increasingly requesting dental implants rather than bridges and other traditional treatments. Clinical evidence continues to emerge demonstrating the advantages of dental implants, including decreased bone loss, more secure tooth placement and longer life span. Though these procedures are not generally covered by insurance and out-of-pocket costs are relatively high, the long-term benefits are great enough to drive significant demand. To meet this demand, the number of dental GPs trained in relatively lucrative implant procedures and incorporating implantology into their practice will continue to rise. Increasing numbers of training programs are also being offered, both by dental implant manufacturers and professional organizations. echnical advances are also making it easier for GPs to compete with specialist implantologists. Use of guided surgery, CT scans, planning software and drilling templates enables less-experienced dentists to place implants with more confidence. However, high capital costs of equipment and the extensive training time required are both factors that have restricted growth in guided surgery, resulting in slower-than-anticipated adoption of this technology. Dental drama forced LeAnn Rimes to cancel a string of tour dates last week, Contact Music reports, and after undergoing an emergency root canal on Thursday, the country star is facing some rather unpleasant surgery to fix an ailing tooth. "Going into an 8 hr surgery tmrw.....beyond anxious," LeAnn tweeted last night (July 29), days after scrapping shows in New Philadelphia, Ohio, and Carmel, Ind. "Thank goodness for a rocking Anesthesiologist :)"
The trouble began last Thursday, when the "How Do I Live" singer jumped on TwitLonger to update fans on her aching chompers. "Waiting on the endodontist to meet me and do a nighttime root canal," she tweeted. "This is one of the craziest things I've ever been through. Trying to keep my mind off the pain & what's about to happen by saying hi to you guys. Life does not work on the right schedule sometimes. This is such bad timing!!!!! K, wish me luck. Much love!" The next day, she offered a post-root-canal update. "Happy Friday! I'll be spending mine in bed," she tweeted. "My mouth kills!!! I feel like the girl in the Exorcist where she can't stop moving her head around on the pillow. I can't get comfortable! Hopefully, no pea soup will come shooting out and I won't be moving any dressers in front of the door to our bedroom w/ my mind :) no possession here, just rediculious tooth pain!"